RTS is selling CIEN and buying EP in its place tomorrow at the open. Indices are once again at extreme oversold levels and hence increasing the chance of a significant correction (5% or more) or a crash (10% or more). That possibility however is still very remote, but if it is to happen, all prerequisites for it are in place now. Since this bull market started, March 6, 2009 (from SPX 666! ), there has been 6 corrections with an average SPX correction of 8.9% lasting on average 19 trading days. 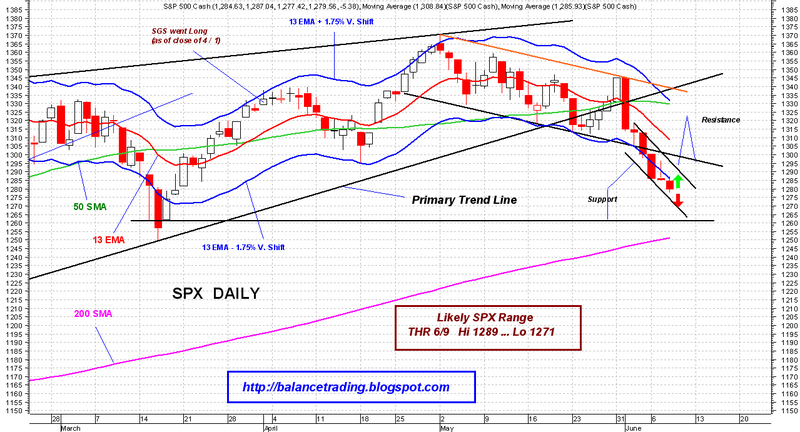 Current correction is 26 trading days old and SPX has lost 6.9% since its peak of 1370.58 on May 2. Market is due for a bounce from its oversold level. 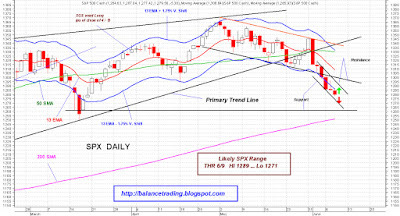 That bounce very likely would push SPX up to back test its 13D EMA sometime in the next couple of trading days.